Back when Yours Truly was just a wee-little opera singer - and I don't mean in size, I mean in age - I studied with a voice teacher that was notorious for being hard on her students. A lesson with her made Simon Cowell's comments on A.I. look like a compliment from Mister Rogers. Her militaristic lessons were not for the faint-hearted and on occasion people would leave her studio in tears. I will admit that I was reduced to a pile of emotional-goo at least twice (that I can remember). The stories from her students were all the same: she would give you the verbal smack-down bringing you to the brink of emotional destruction ... then, she would say something like "There's no time for that, now! Save it for later!" 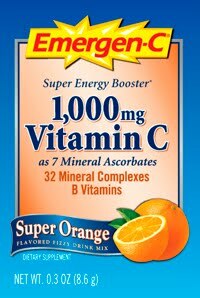 In her own sweet and caring way [read: quickly and abruptly], she would follow up with reaching into her desk draw and handing you a packet of Emergen-C with an obligatory "Honey ... It will all be OK. I'm hard on you because you have what it takes to be a working singer." I say all of this because it brings me to my latest item of obsession. It's an item that if I had only had one of these back then - I'd wear it to every lesson: the If you have to cry GO OUTSIDE t-shirt from the High Priestess of PR, Kelly Cutrone. Although, a quick side note: Not going to lie, Friends ... I fully understand the reasoning behind it given the cover art of her book, but I kind of wish the text wasn't pink. Oh, hell! Everyone's a critic, right? 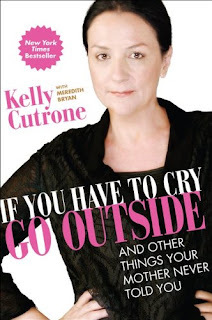 Cutrone's book If You Have to Cry, Go Outside: And Other Things Your Mother Never Told You is on sale now and even though Cutrone has geared this book to women - and rightly so given the industry that she's in - I honestly feel like it could probably speak to anyone. Raw, hilarious, shocking, but always the honest truth, If You Have to Cry, Go Outside calls upon you to gather up your courage like an armful of clothes at a McQueen sample sale and follow your soul wherever it takes you. Whether you're just starting out in the world or looking to reinvent yourself, If You Have to Cry, Go Outside will be the spark you need to figure out what you have to say to the world—and how you're going to say it. As a post script: that voice teacher from back in the day was tough as nails, but I'm a better singer for having been with her. After all: there really *is* a fine line between a portamento and slop.